Innis is the business library on central campus. 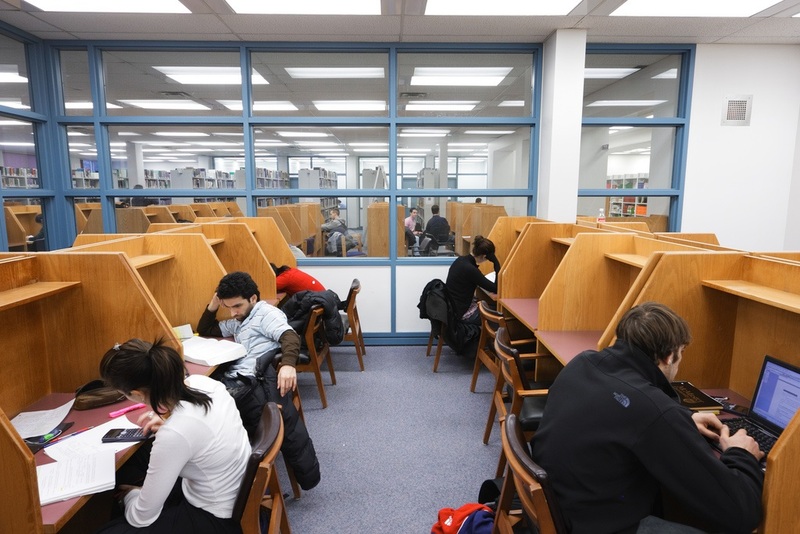 A variety of borrowing, research and technology services are available, along with a collection of business resources and spaces for individual and group study. Welcome to the Innis Library! We've been taking care of Business for almost 45 years. Take our virtual tour to get acquainted with our location, services, collections and spaces. Learn more about the Innis Library, its history and its namesake. Innis Library is located in the north tower of Kenneth Taylor Hall (KTH), Room 108, adjacent to the DeGroote School of Business (DSB) and across from the David Braley Athletic Centre (DBAC). It is one of the best kept secrets on campus, in part, due to its "hidden" location within and between two buildings. Since there are no signs outside the buildings informing you of its existence, we've created a series of maps and videos to help you find our little library. Find us and be part of the INnisCrowd! The three routes below are accessible by wheelchair having ramps, elevators and automatic door openers. Once you've made your way to the Innis Library, here are some navigational guides to help you locate what you need. Services available at the Innis Library are highlighted below. Accessible to DeGroote School of Business students, staff and faculty only. Includes software such as Arena, JMP Pro, SAP Business ByDesign, XL Miner and Web-HIPRE. Visit University Technology Services labs located in KTH, BSB and JHE. Lab computers include software such as Aspen, Python and SAS. Mac-WiFi, MacSecure, Eduroam and other wireless network info. 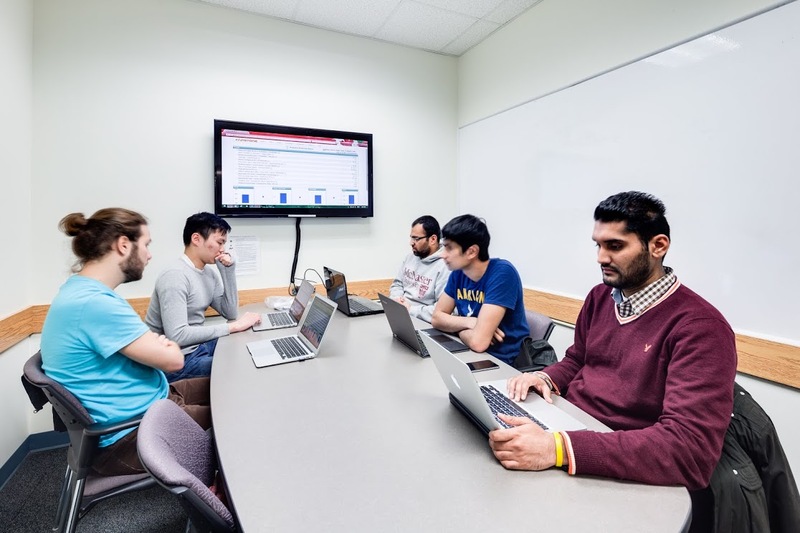 The resources at the Innis Library primarily support the academic and research interests of the DeGroote School of Business (DSB). Collection strengths include accounting, business ethics, finance, human resources, industrial relations, information systems, international business, management, marketing and operations research. Many of the print and online resources available for business research are highlighted below. Bloomberg Terminals and Thomson Reuters Eikon stations available at the GTF and HIDC. Accessible to DeGroote School of Business students, staff and faculty only. Includes the databases Haver Analytics, SDC Platinum and Thomson ONE. 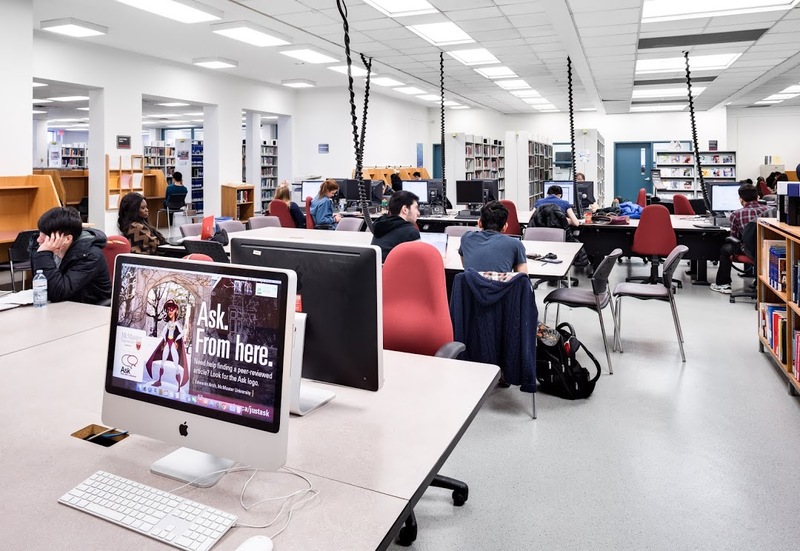 Innis Library has over 260 seats distributed across a variety of learning zones. Review the zones below to find out which area best suits your needs. Cautions: Low-level conversation is fine, but no loud noise, music, socializing, or rowdiness. Electrical outlets are available throughout most of this area. 8 MacConnect wired ports are available in the east wing, along the back wall by the windows and on the wall above the table by group study room G.
MacSecure wireless access available throughout this area. Need to borrow library materials? Visit the Innis Service Desk located in the west wing by the entrance/exit gate. NOTE: Innis does not have a self-checkout machine. All materials must be borrowed face to face at the Innis Service Desk. Your McMaster ID card is your library borrowing card. Your ID card (with its 14-digit barcode) is what you need to checkout library materials at Innis and other campus libraries. If you have a question or need help with research, don't hesitate to get in touch with library staff for guidance and assistance. If your question is very complex, you may be asked to book an appointment with either the Business Librarian or the Library Services Manager at Innis Library. Innis Library has 15 desktop computers available on a first-come, first-served basis. Click the Windows 10 Start button (lower left taskbar) on a public PC to access a program from the alphabetical list in the Start menu. The software listed below is available on all public PCs at Innis Library. Maple - NOTE: When the program is launched, it may take 2-3 minutes for it to be fully functional. Once active, the program will respond normally and quickly. Cortana - search for apps, files, programs, settings, etc. Additional software (e.g., Arena, JMP Pro, SAP Business ByDesign, XL Miner, Web-HIPRE, etc.) is also available to DeGroote School of Business (DSB) faculty, staff and students via the DSB Virtual Lab. For more software (e.g. Aspen, Autodesk Inventor, SAS, Python, etc.) visit the UTS Student Computer Labs. 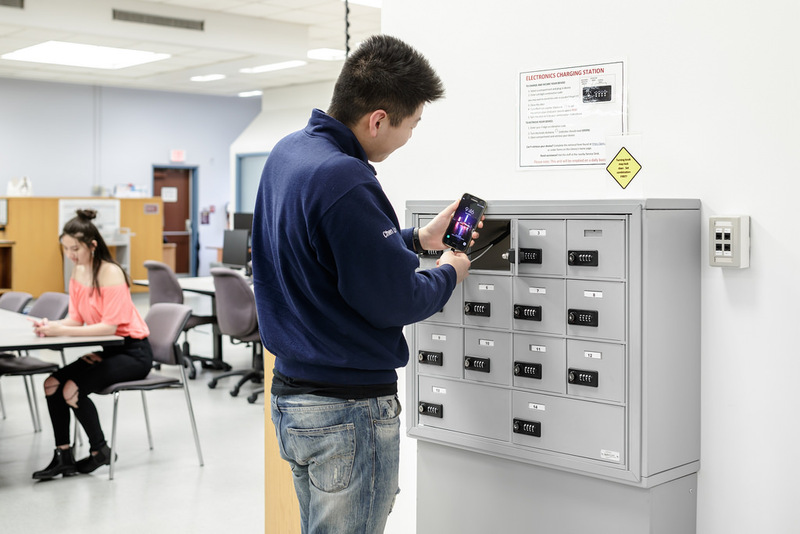 Innis Library has 1 electronics charging station located in the west wing (front area), near the information rack and archway. When your cell phone or tablet is running low on power, plug your device into a cubicle and keep it secure with a combination lock of your choice. Can't retrieve your device from the locked cubicle? Please fill in this form - Electronics Charging Unit Problem - and library staff at the Service Desk will assist you. Innis Library has 1 machine that can print, copy and scan documents. It is located in the west wing (front area), next to the archway. NOTE: Only letter-size paper (8.5"x11") is available in this machine. The default setting for printing is double-sided. Change properties for single-sided. All of these services are paid for using your PrintSmart account (which is connected to your MAC ID). Value can be added to your account online with debit or credit. Cash payment is not supported. For complete details on this service, visit Print/Copy/Scan. Interested in copying, printing and scanning services (including 3D printing) in other libraries, visit Print/Copy/Scan. Material not held in the collections at McMaster libraries can often be borrowed from other libraries (in Canada and elsewhere) using interlibrary loan (I.L.L.). These requests are made using a system called RACER (Rapid Access to Collections by Electronic Requesting). RACER lets you simultaneously search Ontario university library catalogues (and others) to determine which library has the book or journal you need. Anyone can search RACER by selecting the Guest Access option. Only current McMaster faculty, staff and students can submit interlibrary loan requests. One-time RACER registration is required. There is no charge for books or articles, however, charges do apply for RUSH requests. It can take 2 to 5 days (or longer) to obtain the requested material. You will be notified by email when your I.L.L. items are available. For complete information about our interlibrary loan service, visit Borrow from Other Libraries. The following equipment and supplies are available at the Innis Library. Borrow from Innis Service Desk. Valid McMaster ID card required. 4 hour loan period. Borrow from Innis Service Desk. Valid McMaster ID card required. 1 hour loan period. Borrow from Innis Service Desk. Valid McMaster ID card required. 7 day loan period. Borrow MacConnect/Ethernet cables from Innis Service Desk. Valid McMaster ID card required. 4 hour loan period. Borrow from the Innis Service Desk. Valid McMaster ID card required. 7 day loan period. Public pay phones - are not inside Innis Library, but are located nearby in the McMaster University Student Centre (MUSC), 1st floor, near the Compass Information Centre. For a listing of equipment in other libraries, visit Equipment You Can Borrow. If you would like the library to scan one article from a print journal or one chapter from a print book available in McMaster libraries, use our scan and send service. Eligible titles will have a button in the full Catalogue record. Currently registered McMaster faculty, staff and students can select this button and complete the resulting form to request a scan from the library at no charge. A link to the scanned PDF will be emailed to you within 24-48 hours during weekdays. For full details, visit Request a Journal or Chapter Scan. In the late 1960s, when the plans for the Arts III building were being finalized, it was decided that the new home for the Faculties of Anthropology, Business, Economics, Political Science and Sociology would also include a study space for the students in those Faculties. In 1971 when the newly dubbed Kenneth Taylor Hall opened to the campus community its new study hall featured seating for about 90 students as well as a caged area that housed reserve material for courses offered by the various Faculties. Materials would be accessible only for a few hours a day, courtesy of a temporarily transplanted staff member from Mills Memorial Library. This new space was named after Harold Innis, famed economist, communication theorist and McMaster alumnus. The Innis Room was quickly embraced by students from the moment it opened its doors. The heaviest users of the Innis Room were from the Faculty of Business. To compete with business programs at other universities, McMaster pursued accreditation. One of the requirements for this level of certification was to have a dedicated business library. 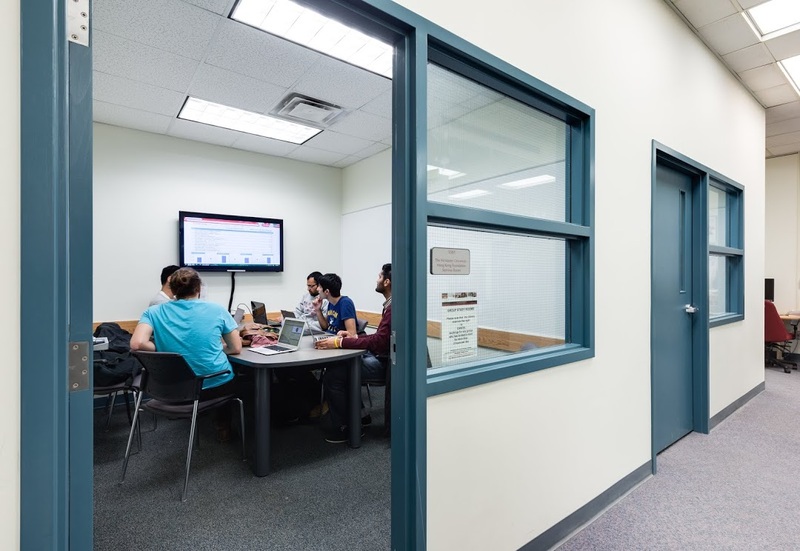 In the fall of 1973, after much deliberation and negotiation with the adjoining Faculties, it was decided that the Innis Room would become known as a business library. A full-time librarian was hired and plans for the transition began to take shape. In the early summer of 1974, the Innis Room was closed so that the reserve cage could be removed. Books, shelves and furniture were also transferred from Mills Library. On July 2, 1974 the Innis Room officially re-opened as a business library and soon boasted over 5,000 reserve items. Despite its modest size, the space saw approximately 180,000 people pass through its turnstiles in its first year of operation. Traffic at Innis continued to grow at a steady pace throughout the seventies and into the eighties. By the end of that decade, it had become quite clear that overcrowding had become a problem, exacerbated by the steady growth of its book and periodical collections. By the early nineties, when construction began on the DeGroote School of Business building, a major expansion and renovation of Innis was integrated into the plan, eventually more than doubling its floor space and seating capacity and most symbolically, changing its designation from “Room” to “Library”. Over the decades, microfilm and print have slowly been usurped by the proliferation of online databases which provide access to countless reports and articles in thousands of periodicals. 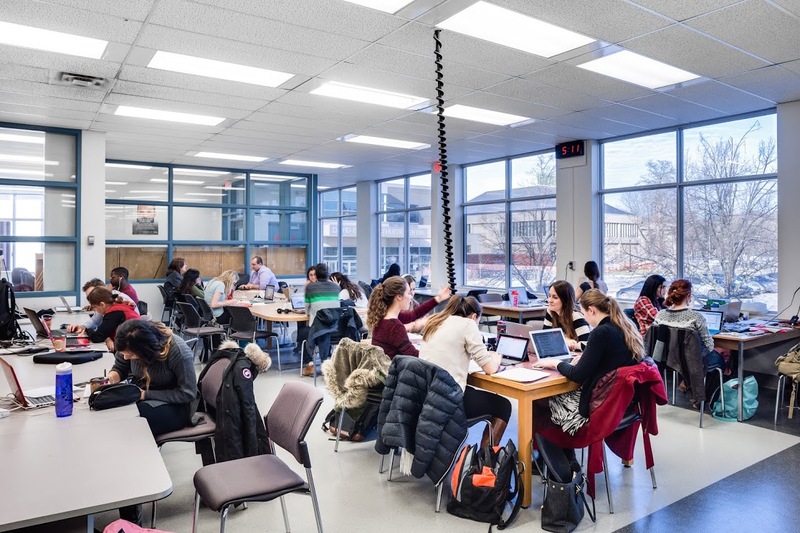 Despite the changes in technology and access to information, the needs of McMaster’s business and commerce students remain very similar to those of the early seventies; to find reliable and relevant information, quickly and efficiently. Innis Library has proudly been taking care of business for 40 years and will continue to strive for new and innovative ways to serve its users. Source: Erasmi, Alessandro (November 4, 2014) "Taking Care of Business for 40 Years: A Brief History of Innis Library" McMaster Libraries. 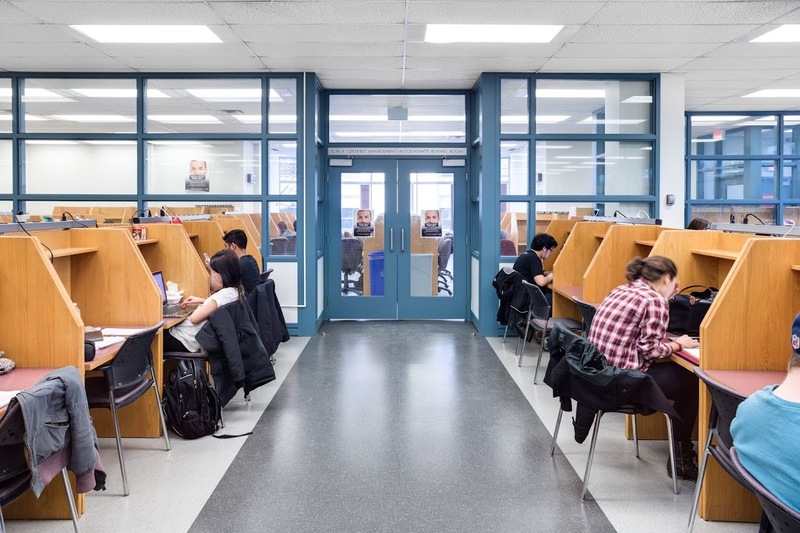 Innis Library offers course-related and course-integrated instruction to McMaster faculty, staff and students on how to find, evaluate and use information effectively and ethically. To request library instruction for Commerce classes or business related sessions, please contact the Business Librarian. Innis Library is named after Harold Adams Innis (1894-1952), influential Canadian scholar and McMaster alumnus (BA 1916, MA 1918, Hon. LLD 1945). View Harold's graduation portrait taken when he received his master of arts from McMaster University in 1918. Read his MA thesis The Returned Soldier online via MacSphere, McMaster's institutional repository. Check out books by and about Harold Innis in McMaster libraries. Read a profile of Harold Innis from The Canadian Encyclopedia. There are no washrooms inside the Innis Library, however, they are located nearby. The washrooms closest to Innis are in the basement of Kenneth Taylor Hall (Men, KTH-B115 | Women, KTH-B114) and in the atrium of the DeGroote School of Business (Men, DSB-134 | Women, DSB-103). All washrooms are wheelchair accessible and gender inclusive. Still not sure where to find relief? Watch this short video to help you pinpoint these washroom locations. WRDS (Wharton Research Data Services) - includes CRSP, COMPUSTAT, I/B/E/S and more. These and other frequently used business resources can be accessed from our Top Business Databases guide. Databases for business and other subject areas are listed in our Databases directory and Catalogue. Over 100 databases are available for business research. All newspapers, in all formats (print, online, microform), available at McMaster libraries are noted in the Catalogue. The Innis Library houses the current issues (approximately 1-3 months) of the following 6 newspapers in print. The issues are located in the display stand and baskets near the entrance/exit gate in alphabetical order. These and other newspaper titles are available on microfilm in MILLS Periodicals (3rd floor) and/or are accessible online via the Online Journals portal or Catalogue. All journals and magazines available online are accessible via the Library's e-Journals portal and Catalogue. The Library subscribe to nearly 8,000 online business journals & magazines. All journals and magazines available in print at McMaster libraries are noted in the Catalogue. The Innis Library houses the latest year of the following 21 business magazines in print format. The issues are located in a display stand near the entrance/exit gate and are organized alphabetically by title. Older print issues of these magazines are located in MILLS Periodicals (3rd floor) [click hyperlinked titles above for call numbers and holdings]. Most of these magazines are also available online via the Library's e-Journals portal and Catalogue. 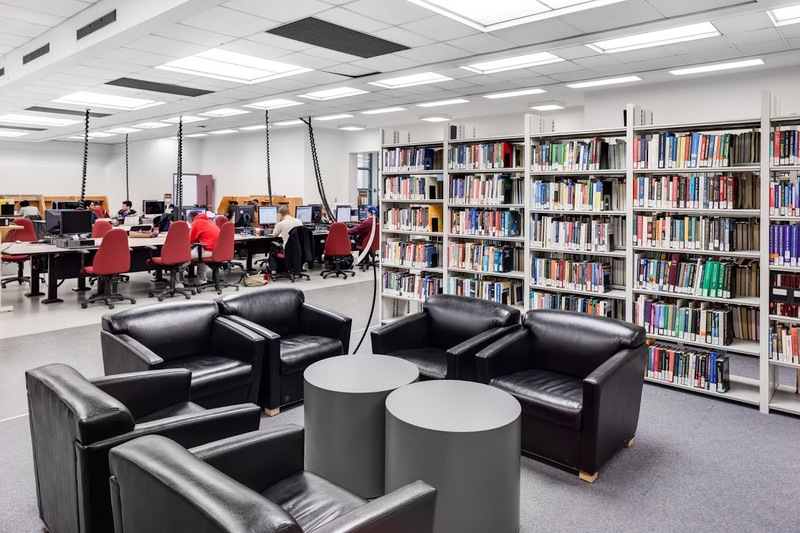 Use the Catalogue to find books, journals, magazines, newspapers, government publications, working papers, videos and more at Innis and other McMaster libraries. The Catalogue includes items in all formats (print, online, microform, etc.). The Innis Library houses over 19,000 items covering a wide range of business topics. 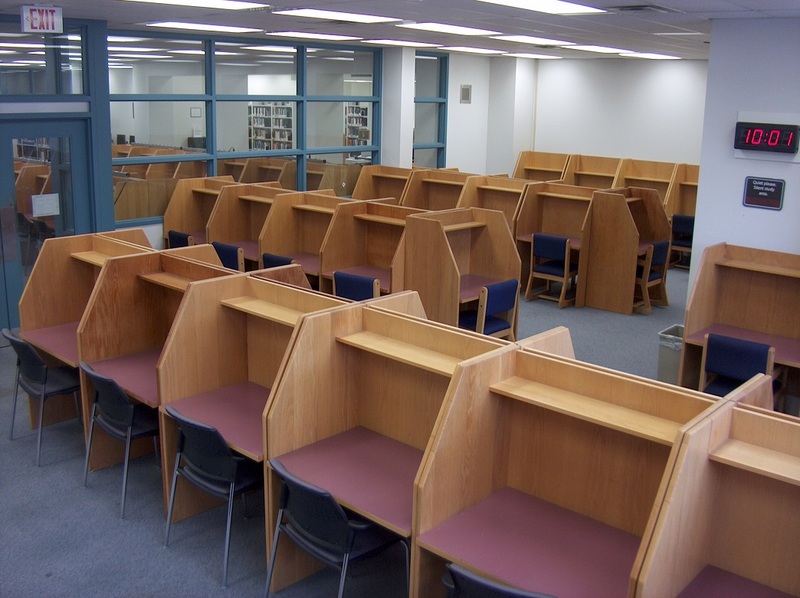 The books at Innis are shelved in call number order according to the Library of Congress Classification system. For a listing of all titles recently added to our Catalogue, go to New Items and select Yesterday, Past 5 days or Past 30 days. The latest print books coming into the Innis Library are shelved in our New Books display near the entrance/exit gate and are available to borrow with a valid McMaster ID card. Not sure where to start your research? Can't find the information you need? Try consulting our research guides for assistance. There are several business related guides that highlight resources for specific courses and for finding specific types of information (e.g., company financials, industry reports, SWOT analyses, etc.). Some instructors will put course materials (e.g., textbooks, readings) on reserve at the library for short-term loan (e.g., 2 hours). These materials are noted in the Course Reserves listing. Search by course code or instructor. The Innis Library houses course reserves for undergraduate Commerce and some graduate courses in Business and Finance. Take note of the call number and status of the reserve item when requesting it from the Innis Service Desk. For instructors interested in placing items on reserve for a course, please visit Course Reserves for Instructors.